Since the 2006 release of their Barsuk debut Get Yr Blood Sucked Out, Portland, OR duo Viva Voce toured non-stop for nearly 2 years, both as headliners and supporting fellow Portlanders The Shins in the US and abroad. 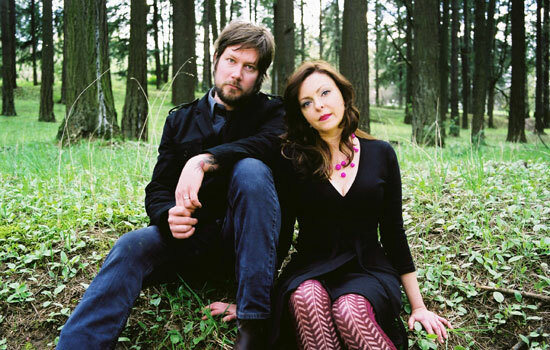 Band founders Kevin and Anita Robinson then took an entire year off from touring (unheard of for them) to finish their hand-built backyard home studio and gig around town with country rock band Blue Giant, and have since become something of a hub in the Portland music scene. With Blue Giant, Kevin and Anita made it a habit to incorporate a broad cast of Portland musicians to their live ensemble  and now the Viva Voce band itself has grown, as Kevin and Anita have welcomed Corrina Repp and Evan Railton to the official line-up. Now Viva Voce are back with Rose City, an album they wrote, arranged, and recorded themselves all in one furious month  choosing not to deliberate over every little thing but living purely in the moment musically and lyrically. Immersing themselves in sonic experimentation, it was truly spontaneous and cathartic. The result is an angular, immediate record that pulses with the palpable urgency of a band yearning for a return to the vagabond life of the working, touring musician  a mode in which Viva Voce is truly at home.